Well with winds finally in the east plus mist and drizzle the anticipation was high today and it didn’t take long before the first discovery of the day was reported from Crook Ness, an immature Common Rosefinch. The bird was found by Dave Mansell but had only been seen briefly on a couple of occasions before other observers arrived on site to help with the search. After a while it popped up again and was seen perched briefly by one observer and in flight by another, this was definitely a rather elusive individual until c12.30 when it showed well for a while feeding in the open. 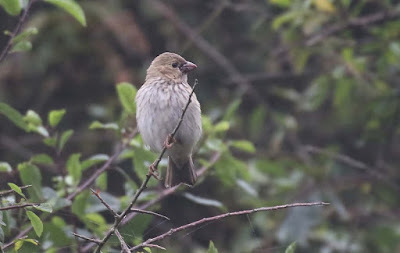 The bird was seen at least four times during the afternoon although the quality of the views left a lot to be desired at times. This is the eighth record for the Scarborough area with the last one being at Long Nab on 3rd September 2010. 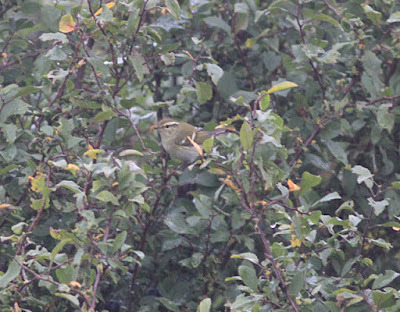 The first Yellow-browed Warbler of the autumn was found at a similar time to the Rosefinch on the opposite side of town in the small copse on South Cliff to the south of Holbeck Car Park. 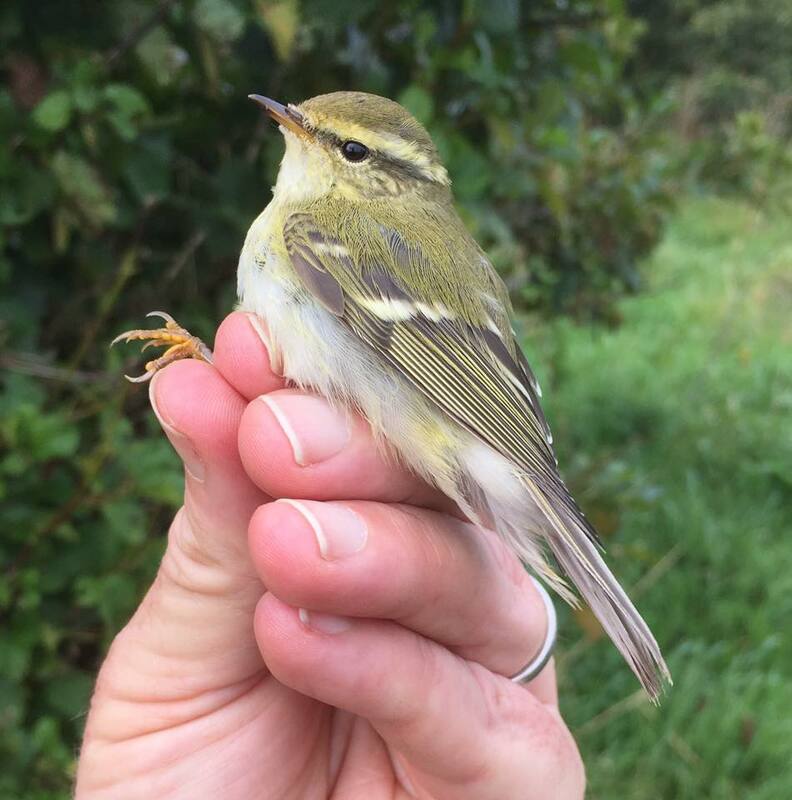 More of these autumn sprites were discovered soon after with three at Long Nab, two of which were trapped and ringed, another at Trough Gully (north of Scalby Lodge Pond) and an additional 2nd bird south of Holbeck near the Golf Course on South Cliff. 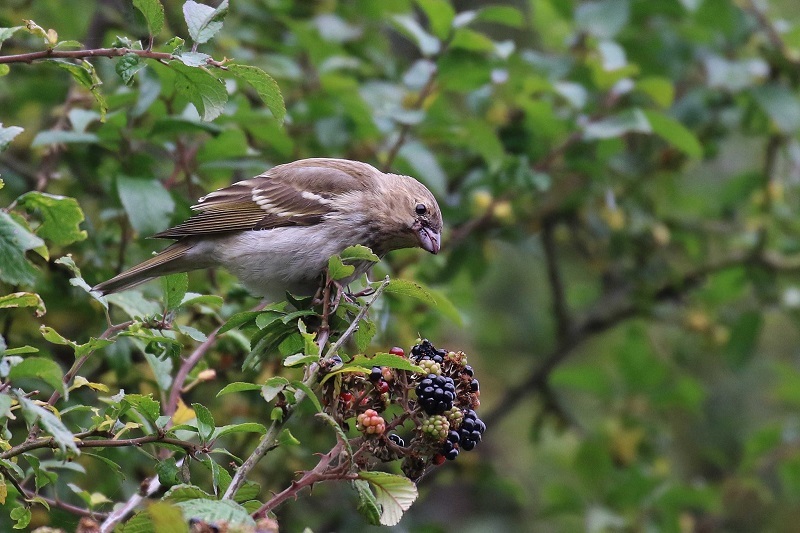 Also at Long Nab a Redstart and a Brambling; in the Scalby Lodge Pond area there were a Wheatear, 2 Whinchats, 12 Curlew and a Whimbrel; a Grasshopper Warbler was seen very well at Cloughton Wyke; 25 Wigeon graced Johnson’s Marsh and at Wykeham South Lake just 15 Wigeon and 2 Great Crested Grebes.